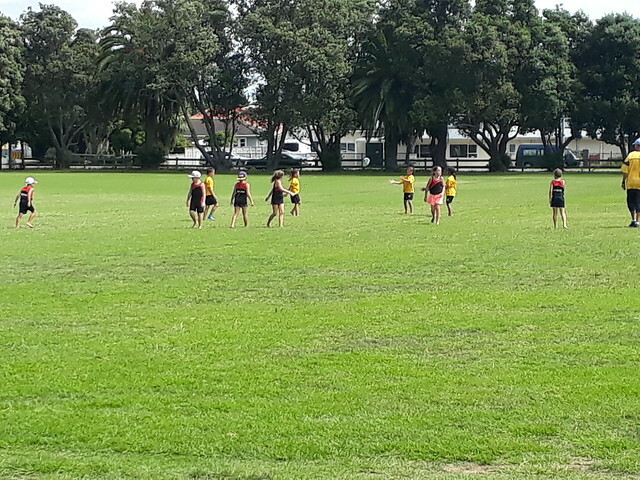 24 Teams from throughout the Eastern Bay of Plenty took part in the annual Primary Schools Touch Tournament at Whakatane’s Rex Morpeth Park. Kawerau’s Tarawera High School were dominant in the Year 7&8 Grade winning all their round robin games and then winning the final against last year’s winners St Joseph’s Whakatane A team. Apanui Black took out the final of the year 5&6 over Kawerau South, while Kawerau Putauaki fought a good battle, winning the year 3&4 grade. Thank you to all schools, coaches and Referees involved in another highly successful event.